The Siege of Edessa took place from November 28 to December 24, 1144, resulting in the fall of the capital of the crusader County of Edessa to Zengi, the atabeg of Mosul and Aleppo. The County of Edessa was the first of the crusader states to be established during and after the First Crusade. It was also the most northerly, the weakest, and the least populated; as such, it was subject to frequent attacks from the surrounding Muslim states ruled by the Ortoqids, Danishmends, and Seljuk Turks. Count Baldwin II and future count Joscelin of Courtenay were taken captive after their defeat at the Battle of Harran in 1104. Baldwin and Joscelin were both captured a second time in 1122, and although Edessa recovered somewhat after the Battle of Azaz in 1125, Joscelin was killed in battle in 1131. 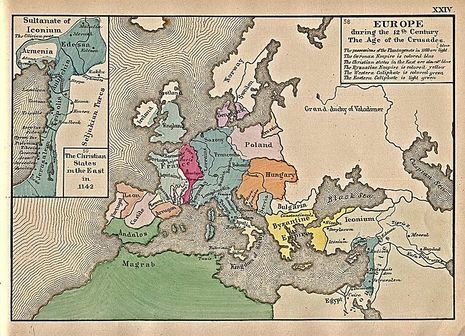 His successor Joscelin II was forced into an alliance with the Byzantine Empire, but in 1143 both the Byzantine emperor John II Comnenus and the King of Jerusalem Fulk of Anjou died. John II was succeeded by his son Manuel I Comnenus, who had to deal with consolidating power at home against his elder brothers, while Fulk was succeeded by his wife Melisende and his son Baldwin III. Joscelin had also quarreled with Raymond II of Tripoli and Raymond of Antioch, leaving Edessa with no powerful allies. After the First Crusade and the minor Crusade of 1101 there were three crusader states established in the east: the Kingdom of Jerusalem, the Principality of Antioch, and the County of Edessa. A fourth, the County of Tripoli, was established in 1109. 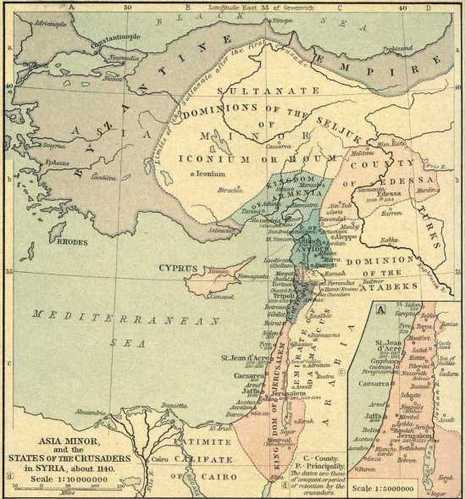 Edessa was the most northerly of these, and also the weakest and least populated; as such, it was subject to frequent attacks from the surrounding Muslim states ruled by the Ortoqids, Danishmends, and Seljuk Turks. Count Baldwin II and future count Joscelin of Courtenay were taken captive after their defeat at the Battle of Harran in 1104. Baldwin and Joscelin were both captured a second time in 1122, and although Edessa recovered somewhat after the Battle of Azaz in 1125, Joscelin was killed in battle in 1131. His successor Joscelin II was forced into an alliance with the Byzantine Empire, but in 1143 both the Byzantine emperor John II Comnenus and the King of Jerusalem Fulk of Anjou died. Joscelin had also quarreled with the Count of Tripoli and the Prince of Antioch, leaving Edessa with no powerful allies.